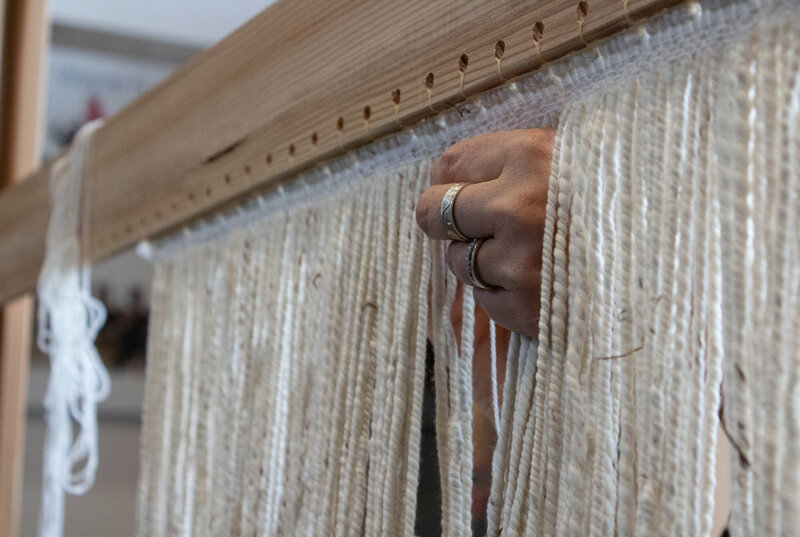 Vanessa Ӕgirsdóttir is a textile designer weaving a traditional robe in the Ravenstail weaving pattern. It will be used by her partner who will dance with it with the Teslin Dancers and Dakka Kwaan Dancers. 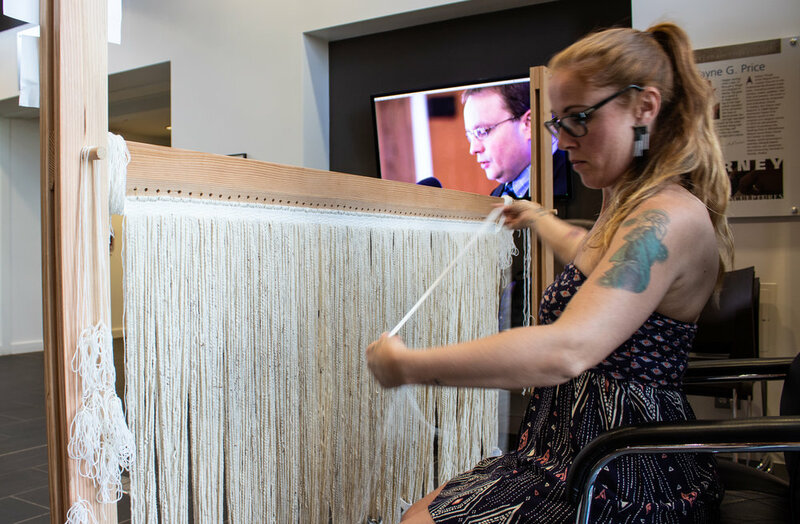 Ӕgirsdóttir says the knowledge of Ravenstail weaving was lost, but it’s now experiencing a resurgence as the knowledge is being shared, including with people like her outside the First Nations community. 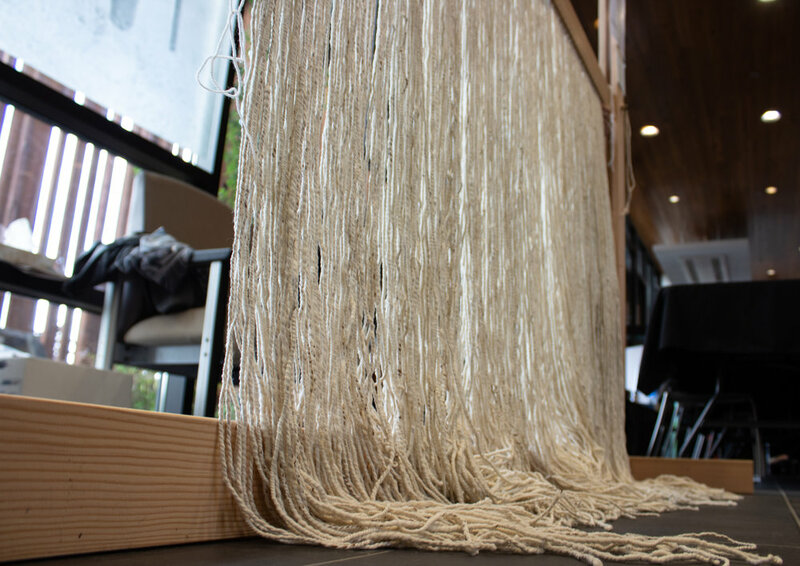 Weaving this robe is expected to take around 1,000 hours of work, so Ӕgirsdóttir is anticipating that the project will take around a year. 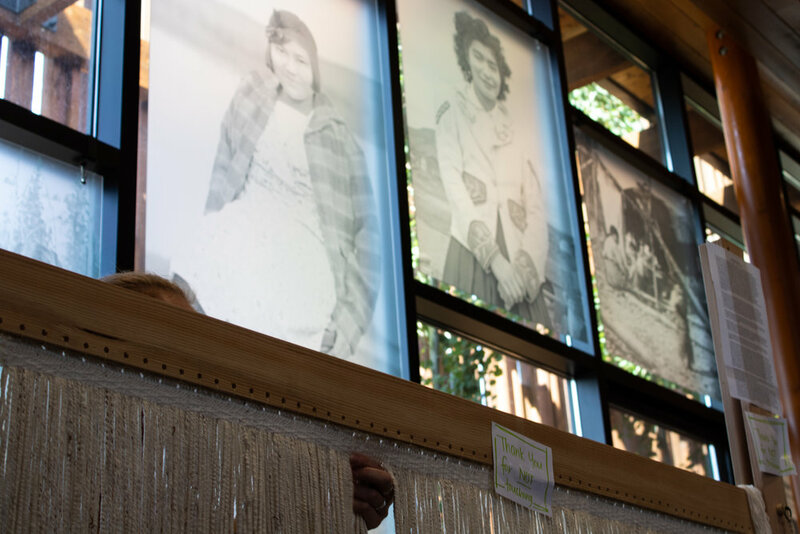 She has spent the week at the Adäka festival in Whitehorse weaving in public so that she can share her story and process with the people who come to the festival. “These robes are intended to be passed down generation to generation and worn for hundreds of years,” says Ӕgirsdóttir. 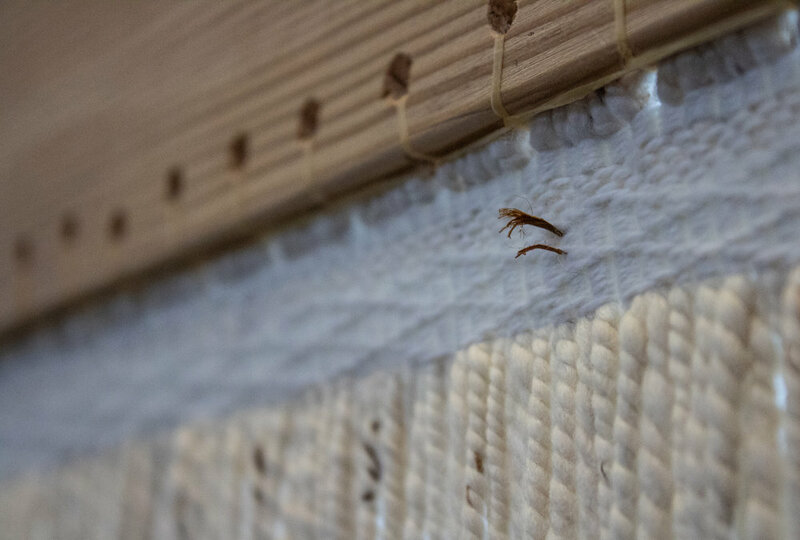 Due to the length of the strands being woven together, they have to be protected by small socks to preserve the part of the robe that will become the fringe at its base. Weaving this robe is a detail-oriented process. Ӕgirsdóttir says she’s inspired to complete her work because it’s an honour to make a robe that will be danced in for a long time. The robe has cedar bark woven into it to provide durability. Also, the oils in the bark act as a natural bug repellant and help to preserve the robe. Ӕgirsdóttir says once the robe is complete it will be dedicated and presented to the person who will dance in it in a special ceremony.